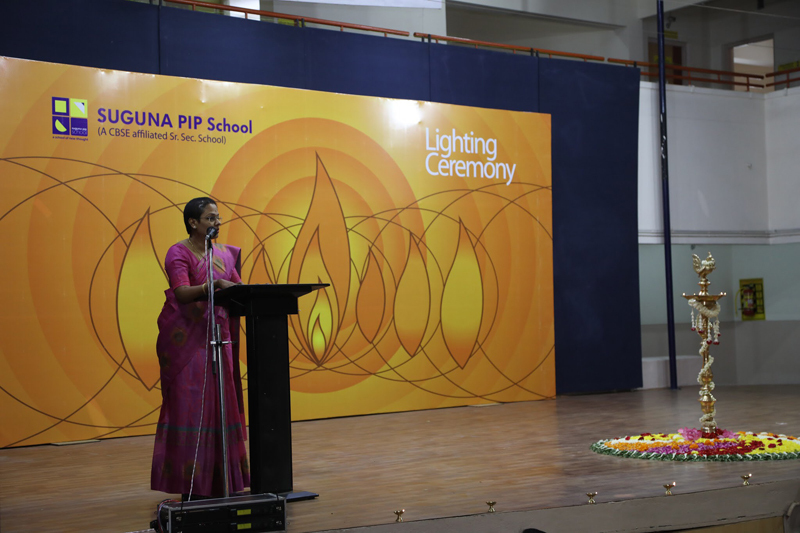 The Lighting Ceremony was held on 30th January 2019. The Chief Guest for this solemn occasion was Shri Brahmachari Vighnesh Chaitanya, Spiritual guide and Mentor for the Chinmaya Schools. 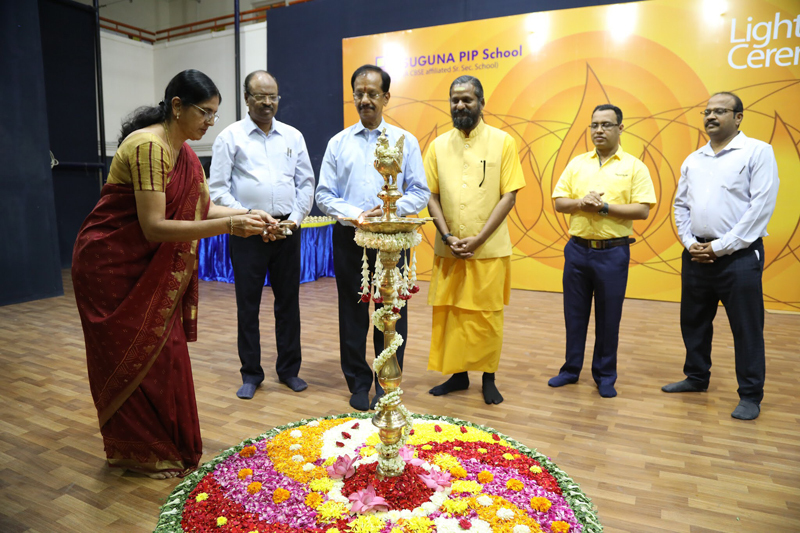 Presiding dignitaries were LN Sir, Chariman Suguna Group of Industries, Suguna Ma’am, President, Director Sekar Sir and Principal Poovannan Sir. 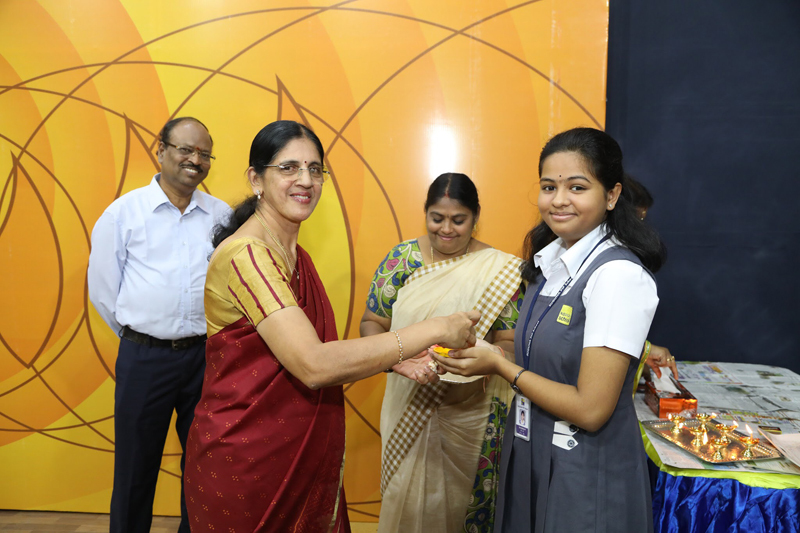 The program was attended by students of Grade X and XII, staff and parents. 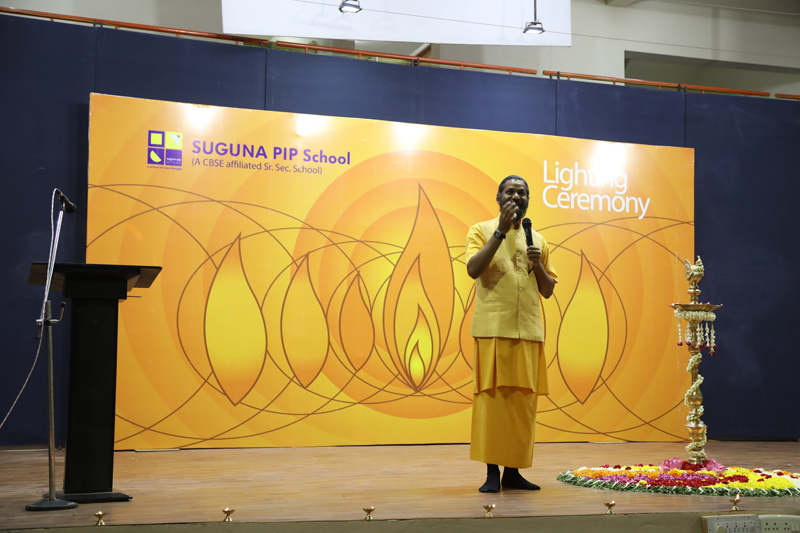 The Lighting Ceremony is a very solemn occasion in a student’s school life as it signifies ‘Atmajyoti’ that is glow of the soul within oneself. The light also represents the knowledge they will carry forth out into the world. 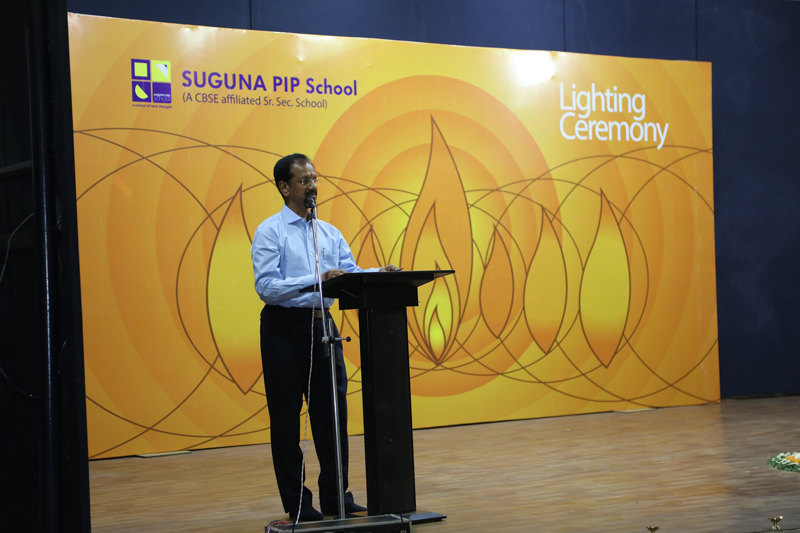 The ceremony commenced with Principal Poovannan Sir welcoming the Chief Guest, presiding dignitaries and the gathering. 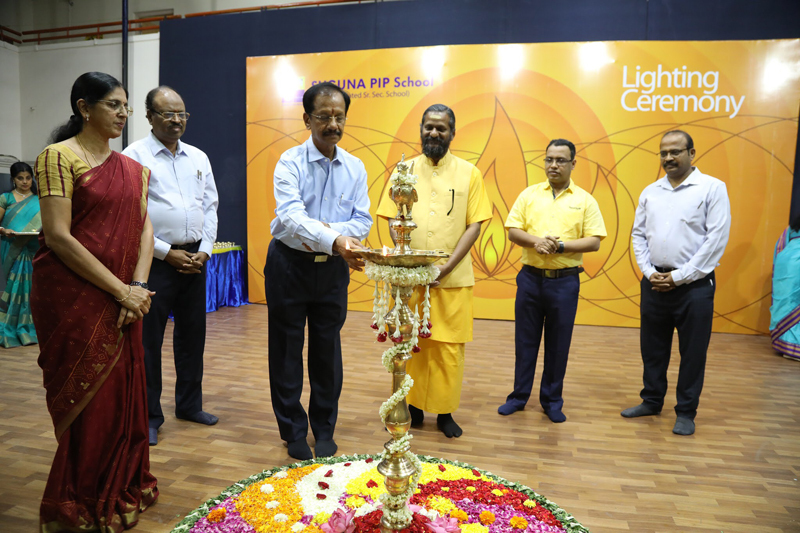 This was followed by lighting of the mother lamp by the dignitaries from which lamps were lit by LN Sir and Suguna Ma’am and handed over to each and every student with their blessings. The occasion saw readings from the different holy books. 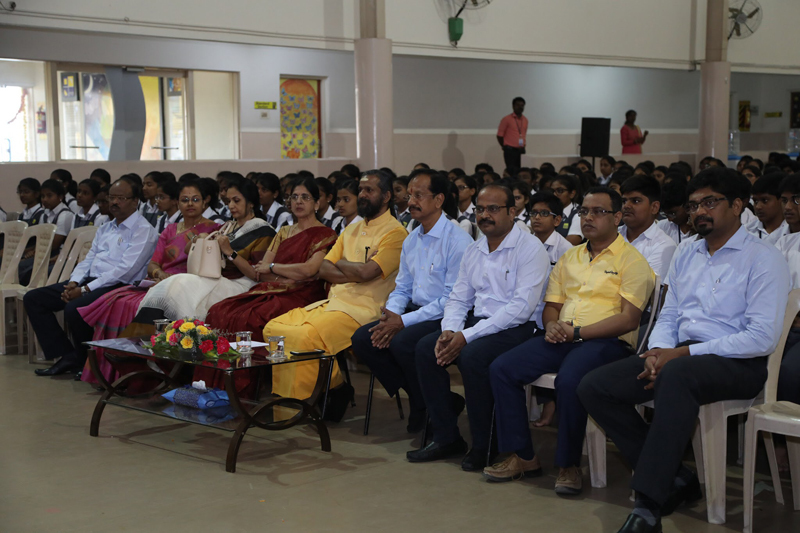 The Chief Guest, Shri Brahmachari Vighnesh enthralled the students with his sense of humour motivating students to do better and prepare for the challenges ahead. 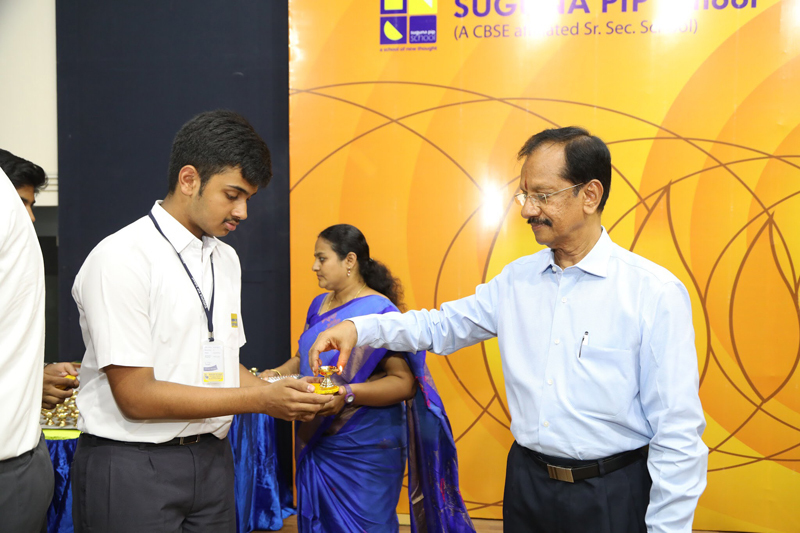 Chairman LN Sir appreciated and encouraged students with his kind words, wishing them well in their future endeavours. President Suguna Ma’am wished students the very best in their forth coming exams emphasising that the best way to excel was to compete with the self. 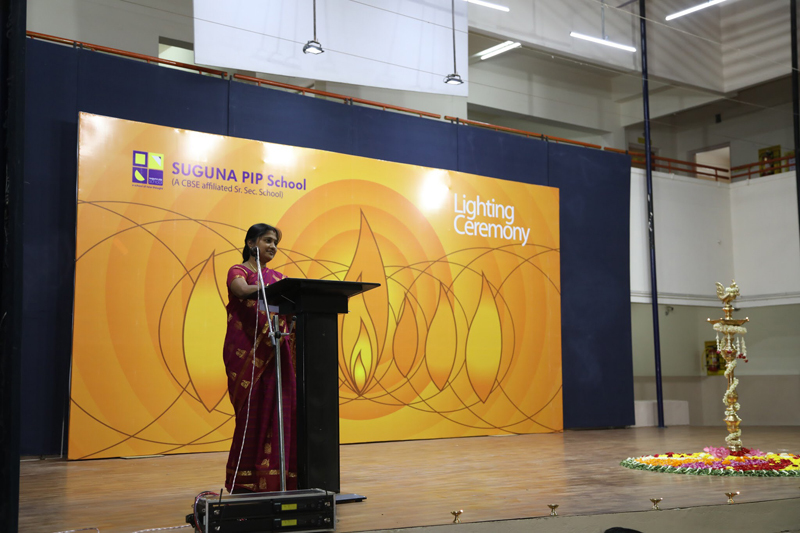 Students, teachers and parents shared their wonderful experiences being a part of the Suguna PIPS family. The ceremony came to an end with the vote of thanks.